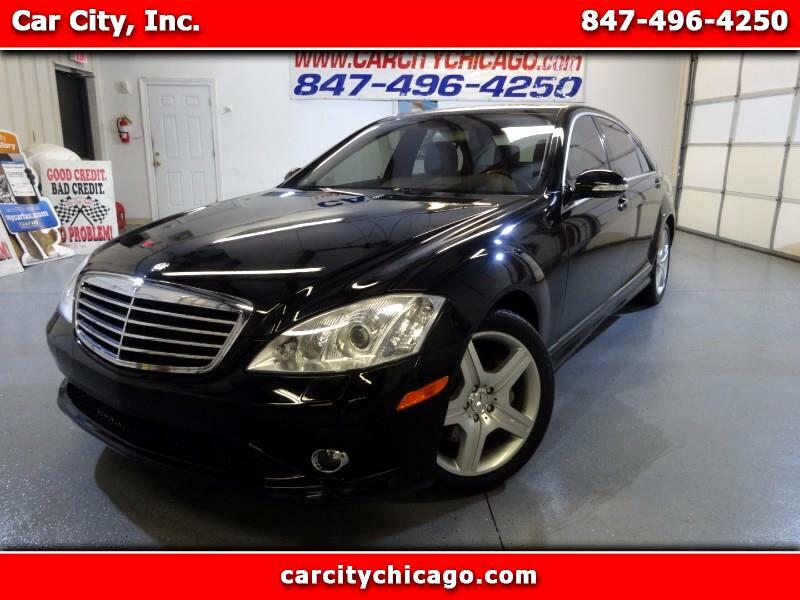 Used 2009 Mercedes-Benz S-Class S550 4MATIC for Sale in Palatine IL 60074 Car City, Inc.
1 OWNER! CLEAN CARFAX! AWD! BLACK ON BLACK! NAVIGATION SYSTEM, BLUETOOTH, BACK UP CAMERA, LEATHER SEATS, ALLOY WHEELS, NON SMOKER CAR, HEATED SEATS, STABILITY CONTROL, MEMORY SEATS, SUNROOF / MOON ROOF, PREMIUM SOUND SYSTEM, AUX OUTLET, KEY LESS ENTRY, EXTRA KEYS, NO OPEN RECALLS, PERFECT CONDITION, WELL MAINTAINED, FOG LAMPS, AUTOMATIC CLIMATE CONTROL, TRACTION CONTROL, LOW MILES, HEATED STEERING WHEEL, POWER LIFT GATE, HEATED REAR SEATS, ABS, AIR BAGS, POWER LOCKS, POWER MIRRORS, POWER WINDOWS, FRONT ROW READY. WE SPEAK ENGLISH, RUSSIAN, LITHUANIAN AND LATVIAN! PLEASE TAKE A MOMENT TO ENLARGE AND VIEW ALL OF THE PHOTOS AND VIDEO. ALSO NOTE THAT WE OFFER CONVENTIONAL BANK FINANCING, WELCOME TRADE-INS AND EXTENDED WARRANTIES ARE AVAILABLE FOR UP TO 4 YEARS AND UNLIMITED MILES. FREE AIRPORT PICK UP FOR OUT OF STATE BUYERS. CALL CAR CITY,inc FOR MORE INFORMATION 847-496-4250 OR 224-595-9148. MORE PICTURES ON OUR WEBSITE WWW.CARCITYCHICAGO.COM. CAR CITY,inc. LOCATED AT 2232 N. RAND RD. PALATINE, IL 60074. WE, AT CAR CITY INC., BELIEVE THAT TRUST, HONESTY, INTEGRITY AND VALUE ARE THE FOUNDATION OF OUR FAMILY-OWNED AND OPERATED BUSINESS!